Wow's the word. Simply put, this gorgeous home in Broadmoore Commons community is a must see! Nestled in the trees, the views from the great room, sunroom & master bedroom are breathtaking. Relax on your private, custom deck to listen to the creek running right through your backyard! Once you drag yourself back inside, get ready to make magic in this beautiful kitchen, which is chef-ready with stainless steel appliances, granite counters and upgraded cabinets. This 2-story home also features 9' first-floor ceilings, 5 bedrooms, with a spacious first-floor owner's suite. Additional upgrades include private bathrooms, carpet/pad and lighting package. 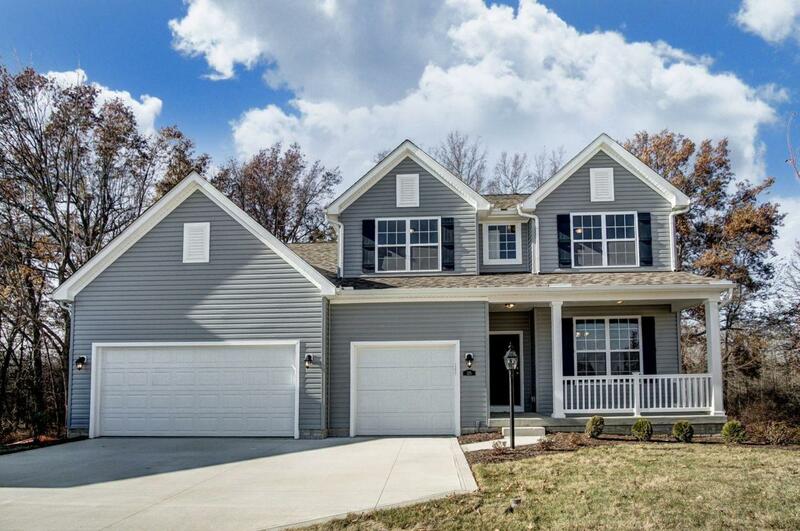 The full basement provides even more room to make yourself at home in this stunner.